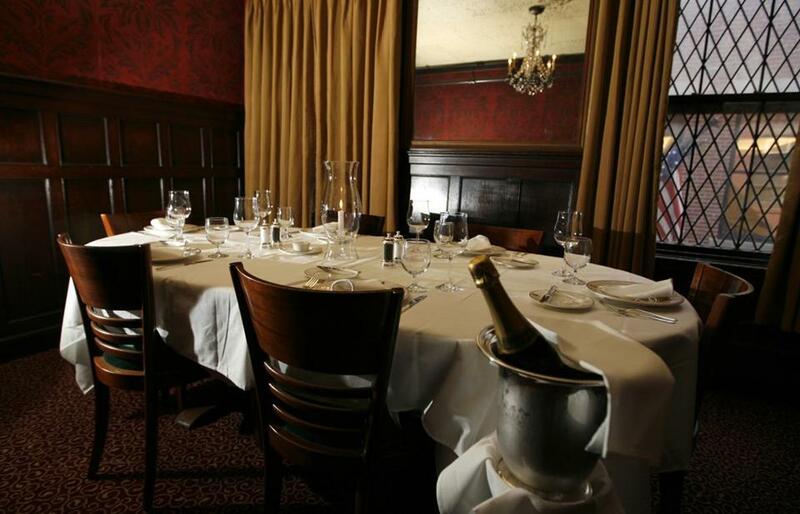 The John F. Kennedy room is where the former president dined with friends at the Boston landmark. Locke-Ober, which opened in 1875, closed Saturday. If the venerable Boston restaurant Locke-Ober were a person, she would be a queen dowager, dressed in finery, eating off only the best linen and ­china, and drinking imported tea with her pinky finger extended. On Saturday night, after 137 years, this queen, who has hosted Kennedys and Kerrys, Brahmins and barons, took her last breath. City officials confirmed that a purchase-and-sale agreement has been signed on the building. According to a statement released by ­Patrick Maguire, who works at the nearby restaurant Jm Curley, to the Globe Monday night, Jay Hajj, the owner of Mike’s City ­Diner in the South End, said that he and two partners have signed an agreement to buy the building on Winter Place. He said they plan to open a new restaurant within a year. 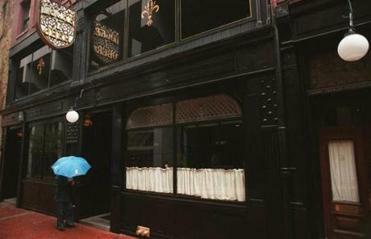 The sale reportedly includes the restaurant and its liquor ­license. Locke-Ober leaves behind a rich history steeped in tradition from its first year of business, in 1875. It did not allow women in until nearly a century after it opened and only abandoned its dress code in 2011. When she took over Locke-Ober in 2001, Lydia Shire ­became its first female chef. She and her business partner, Paul Licari, restored the historic building and ­updated its menu. She added new dishes, such as rum-and-tobacco-smoked salmon, in contrast to some of the heavier old standbys. Shire stayed for a decade, leasing the property from Ray, until she left in 2010. When their 10-year lease was up, Shire and Licari tried to negotiate a new one, but they could not reach agreement with Ray, who kept the restaurant going, with Licari staying on as general manager. “David put a lot of money ­into it, and we had put a lot into it, and then he came back and put another bunch of money ­into it,” said Shire. “But in the end, unfortunately, there was not enough support from the Boston community, and I don’t mean that in a snippy or snide way.” Shire said that with the ­recession, more people want a more casual menu. Charlie Perkins, owner of the Boston Restaurant Group, said that the older, traditional places that defined Boston dining for years are “dropping like flies.” Cafe Budapest led the way, and Jimmy’s Harborside, Aujourd’hui at the Four ­Seasons, and Icarus are among the many that have followed. Berkowitz, whose family opened its first seafood restaurant in 1968, agrees with those who say Locke-Ober’s location was not ideal. “There wasn’t a lot of visibility; it was sort of hidden,” he said, adding that he expects Downtown Crossing to make a comeback. Shire, who first went to Locke-Ober when she was 8 years old, talked about its many traditions, including the tables that “regulars” had, such as the Filene’s table, the ­Jordan Marsh table, and various politicians’ tables. When a regular who had his own seat died, the staff would tip his chair to rest on the table. Brian McGrory of the Globe staff contributed to this report. Bella English can be reached at English@globe.com.